Is there enough water for everyone in the planet? Can we afford to recognize that access to essential water services is a public good or even a human right? Should water be treated primarily as a commodity? Is it possible to universalize the access to water and sanitation services in poor countries? Do we have the technological means to reverse the current world water crisis? Is it possible to simultaneously achieve the goals of sustainability and social justice in relation to water? Are we facing a real possibility of international water wars? Should we care? These and other pressing questions were the object of a public event organized by the WATERLAT-GOBACIT Network with the support of the School of Geography, Politics and Sociology and the Newcastle Institute for Research on Sustainability (NIReS) at Newcastle University on 14-15th July 2011. Leading experts and scientists from the UK, Brazil, Finland, France, Kenya, Mexico, Palestine, Spain, among other countries, met to discuss the main challenges and opportunities facing the international community in relation to the government and management of water worldwide. 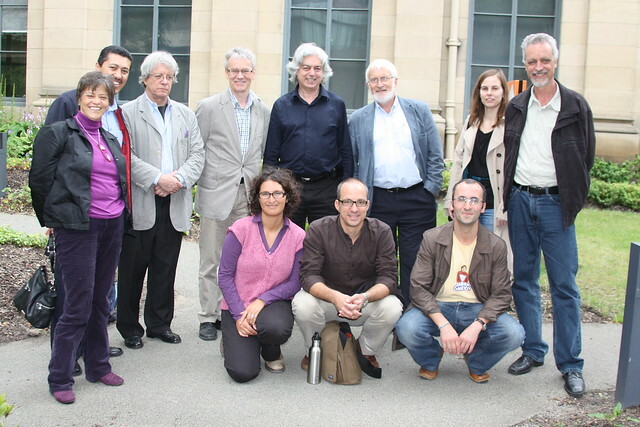 The International Workshop was part of a series of activities that took place throughout 2011 to celebrate Newcastle University’s world-leading work on sustainability. It was funded by Newcastle University’s Sustainability Societal Challenge 2011 programme. Here you can see the Programme and download the presentations.